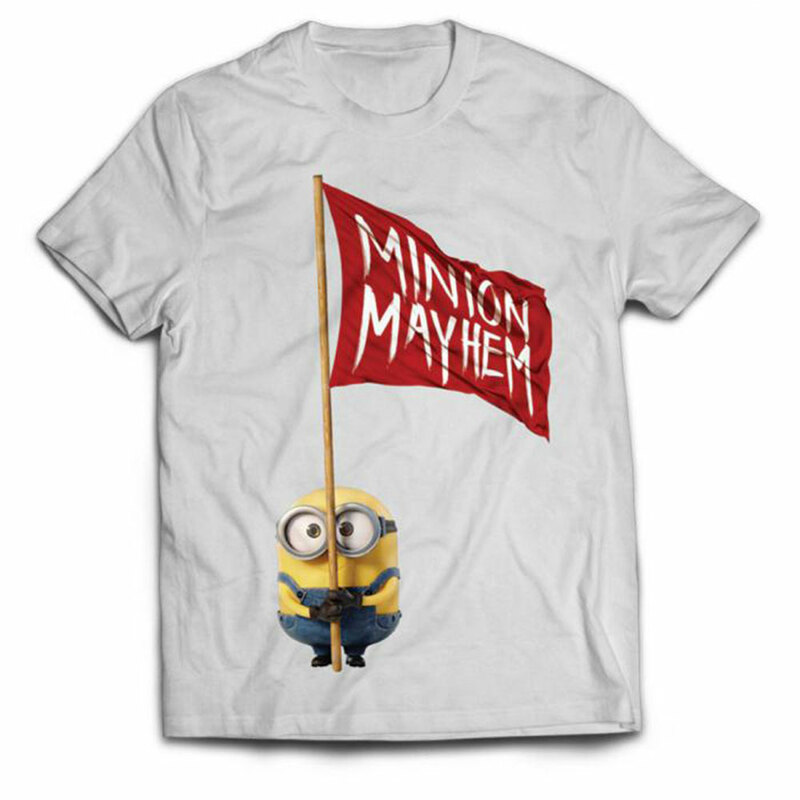 Minion Mayhem White Minions T-Shirt | Minion Shop. White T-Shirt featuring Minion Bob holding a minion Mayhem Flag. Minion Shop is a one stop shop stocking only 100% official Minions products.